Home Blog Lemon puree. Wholesalers and suppliers. Lemon puree. Wholesalers and suppliers. The freshness and quality of a good lemon puree is related to the closeness between the lemon puree treatment and elaboration center, and the croplands where the lemons for the lemon puree are gathered. In Lemon Concentrate we have substantial experience of work in the lemon market, around lemon puree producers, wholesalers and suppliers, as well as other varieties of concentrated lemon, worldwide. The in-depth supervision of the croplands enables us to guarantee high quality, both in the final product and the worldwide service we offer our clients. We provide a constant supply of lemon products independent of lemon price rises, and premium quality due to the meticulous lemon production control in the fields, situated only a few kilometers away from the Mediterranean Sea. The fruit is gathered at dawn and reaches the process plant immediately to proceed with the lemon puree elaboration. Our fruit is processed in the largest citric processing plant in Europe, in which we elaborate, apart from lemon puree, other products such as lemon concentrate, lemon comminuted, lemon concentrate 400 GPL cloudy, lemon concentrate 400 GPL clear, lemon concentrate 500 GPL clear, D-Limoneno, lemon essential oil, lemon pulp cells, and our special blends, for instance, lemon and mint blend, mojito concentrate or multi-fruit concentrate. We have two types of lemon puree. Lemon puree 1:1 is elaborated with the whole lemon, in other words, utilizing the flabedo, albedo and endocarp parts of the lemon, where all the lemon properties are concentrated. This lemon puree’s characteristics are 6.5 min Brix grades, 0.5 (%ACA) acidity and a 0.2 (% v/w) oil level. We also produce lemon puree 4:1. This lemon puree is four times more concentrated than lemon puree 1:1, and its premium quality gives body to refreshing beverages such as fruit nectars, and lemon soft drinks. It has between 27 and 29 Brix grades, a 9-11 (%ACA) acidity, and a 0.9-1.3 (% v/w) oil level. 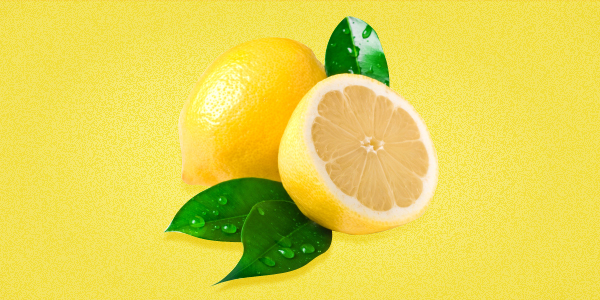 As lemon concentrate and lemon puree suppliers, we have situated ourselves as one of the leading companies of the Asian, European and Middle-Eastern juice markets. These products (lemon puree and lemon concentrate) have a great diversity of applications. They are used in air fresheners, natural preservatives, jams, marmalades, ice creams, and yogurts, to substitute products made with chemicals which thereby have an artificial nature. This way we offer an affordable product which improves the quality of our clients’ final products.